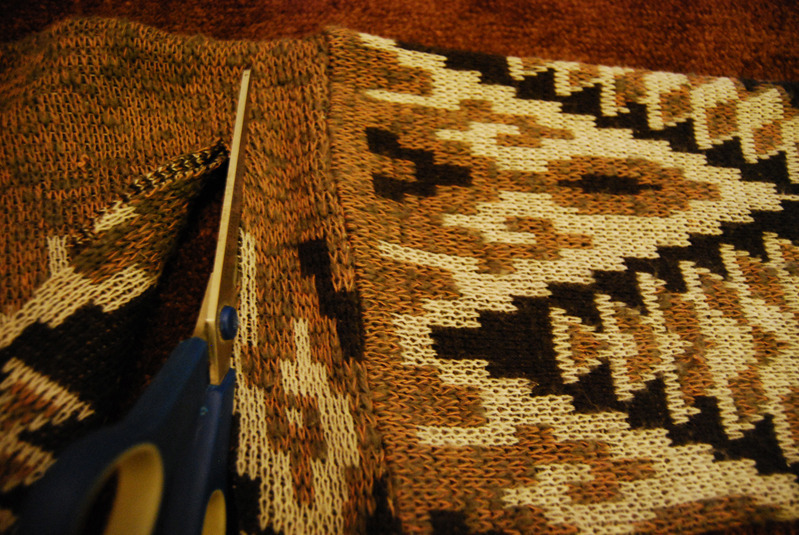 Step 1: Start by laying patterned sweater on a flat surface. Step 2. 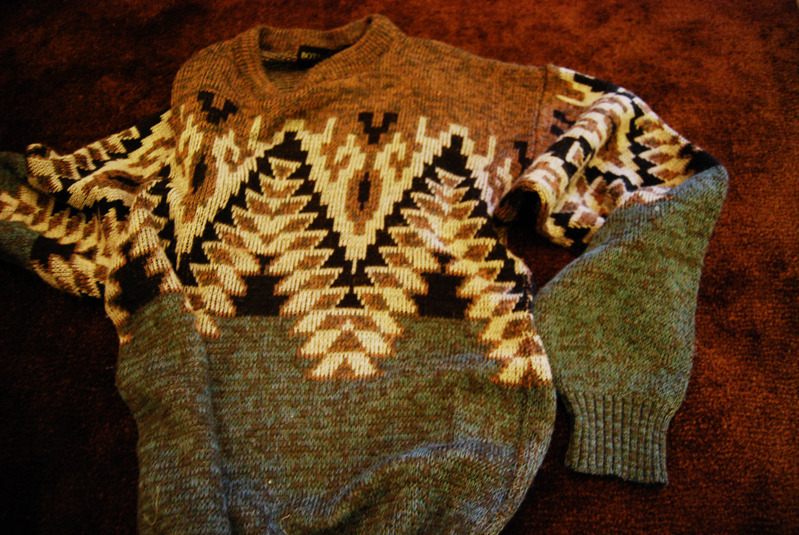 Locate the crease of the sleeves and where the main body of the sweater meets. Step 3. 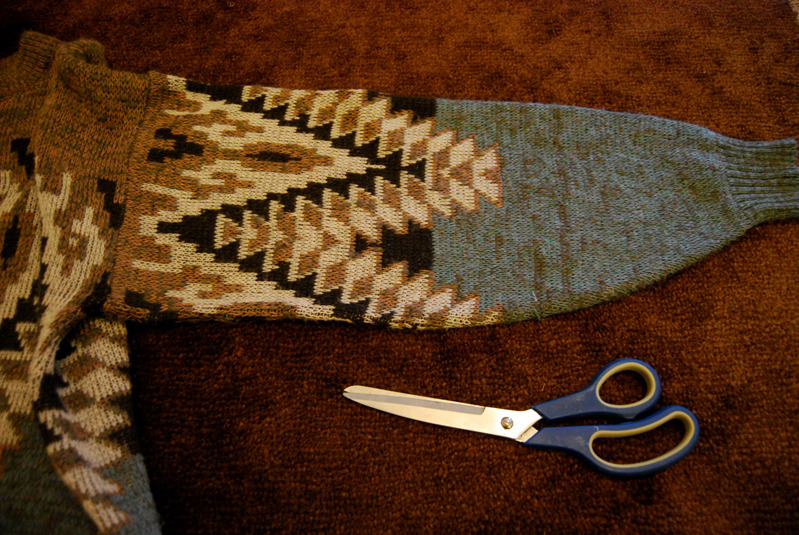 Cut and detach both the right and left sleeves (approximately two inches above crease line). Step 4. 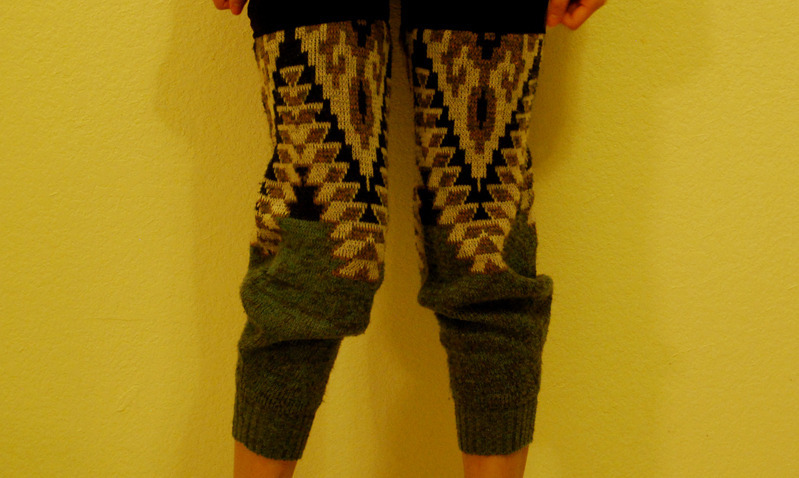 Begin by tucking one of the patterned sleeve underneath the hem of the shorts. 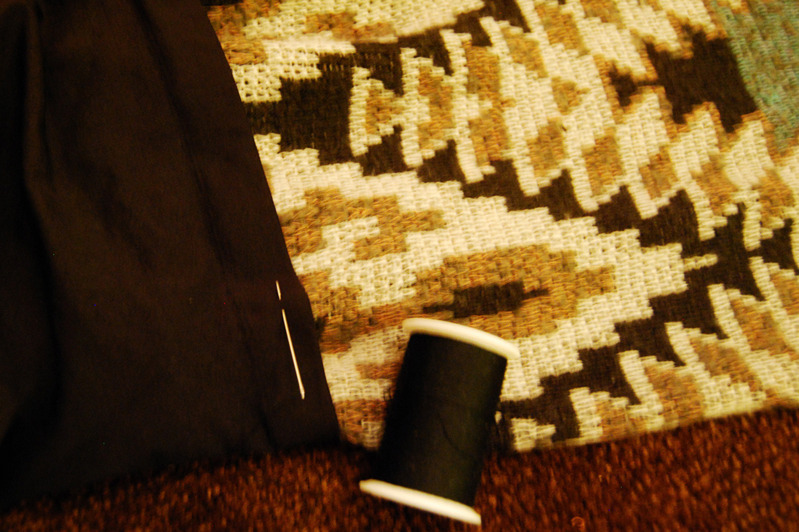 Using your thread and needle, simply sew the sleeve against the hem. Repeat the process on the other side.